As news of the fire at the National Museum of Natural History emerged on 26 April, environment minister Prakash Javadekar's statement caught our attention. "I have ordered a energy and fire audit of all our establishments all over the country because we have 34 museums, ZSI and BSI, all put together. We will take care that such incidents don't happen," he said. The massive fire gutted rare artifacts, a 160-million-year-old dinosaur fossil and damaged the activity room. So why did this incident occur? 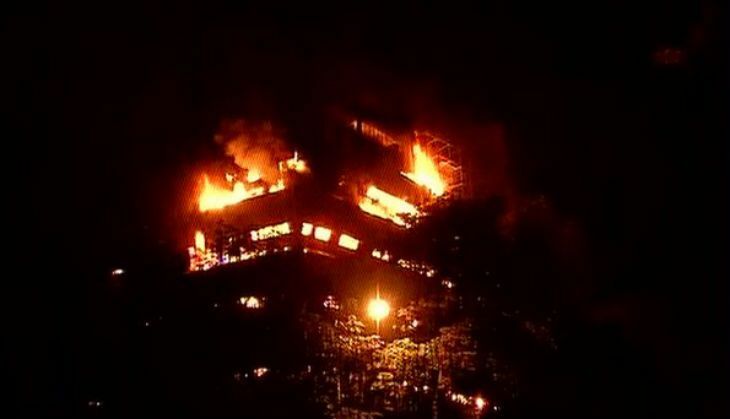 According to reports, the fire at the Natural History Museum was caused due to negligence of fire and safety mechanisms. The museum's fire safety system was not working, a fire officer informed. The sprinklers - meant to douse fires in an emergency - were not working. It was up to the fire engines and the fire-fighters to bring everything under control. A fire-extinguisher is supposed to extinguish the fire. But the ones at the museum were found to be faulty and inaccessible. Not just the sprinklers, but the water pumps in the building were not functional either. Firefighters did not know how to access the water pumps in the building. The building was undergoing renovation. And as a result, several safety procedures were ignored or found to be well below the mark. Non-maintenance of the building could be a major reason behind the fire. In the wake of the fire, the environment minister has ordered an immediate audit of 34 national museums across the country. But had the administration called for the audit and supervising activity earlier, a number of valuable and historic items could have been saved. The cause of the fire is yet to be ascertained. About 35 fire tenders were pressed into service to control the blaze that broke out in the wee hours of 26 April. Six firefighters have been admitted to Ram Manohar Lohia hospital, with two reportedly in crucial condition.